There is no way to deny it, when you’re building a boat, experience counts. 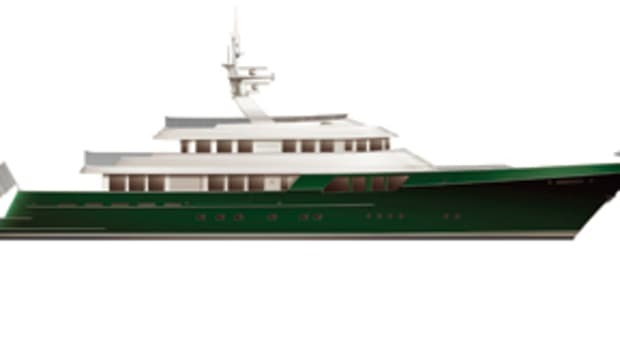 Experience tells you where a structural bulkhead should go, how wide to make the side decks, and exactly how big the flying bridge’s bar needs to be to serve an intimate, ten-person soiree. In that regard, there are few boat companies that can boast a better pedigree than Cheoy Lee, which has been in operation for 140 years. 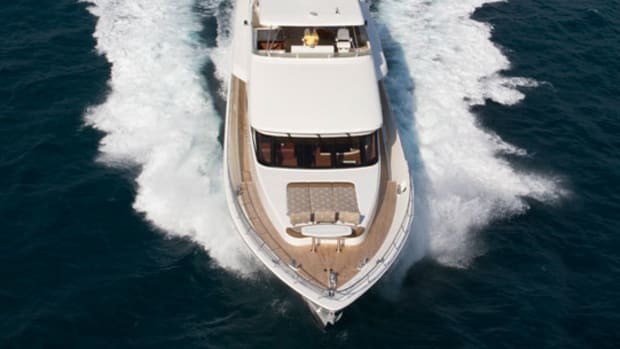 One of their newest launches, the Bravo 88, is very much a product of that experience, and also very much in line with Cheoy Lee’s tradition of building good-looking, highly cruisable vessels for people who know a thing or two about boats. 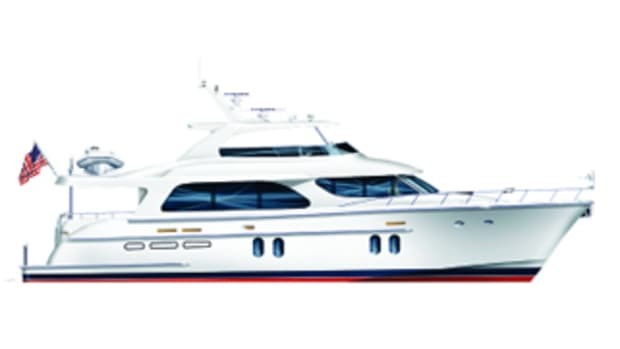 The 88’s well-thought-out design is apparent as soon as you see its relatively sleek (for a flying-bridge cruiser) profile, replete with sharp angles and elegant curves. Stepping onboard, one finds a stainless steel-railed swim platform that offers direct access to the engine room and the crew’s quarters. The expansive, shaded cockpit is a textbook entertaining area as it has a wet bar as well as a dining table. It seems an ideal place to get out of the sun in the tropical locales this boat will surely visit. 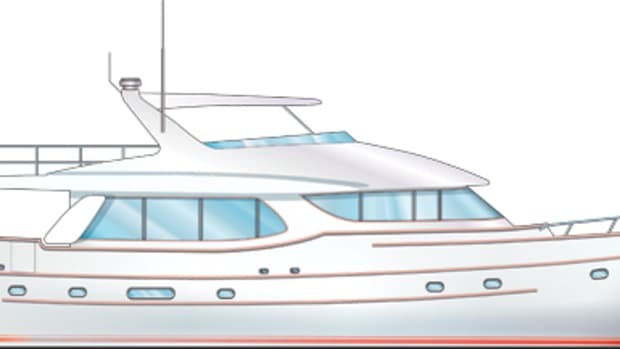 The flying bridge is another well-suited entertainment area, with its barbecue, wet bar, and Jacuzzi. A hardtop offers some shade, but if you like rays, there’s certainly room enough aft to lay out. There’s also room for a 15-foot tender mind you, so you’ll never be confined to a mooring. The forward section of the bridgedeck has an outdoor helm with excellent sightlines. Down below in the saloon lies the most sophisticated of the entertaining areas on the boat. A wet bar complements an elegant dining table, while an open country kitchen is perfect for the foodie owner who doesn’t want to miss one bit of the action while he prepares his clams oreganata. 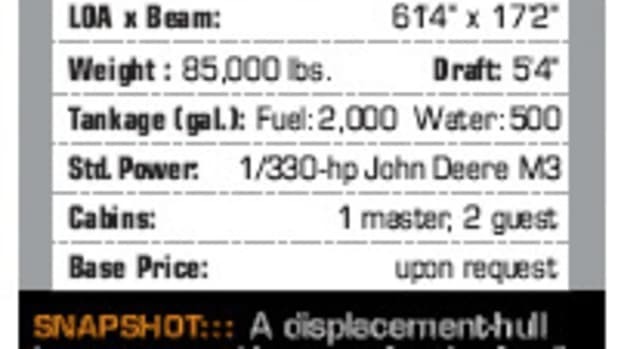 But this boat isn’t simply for entertaining. 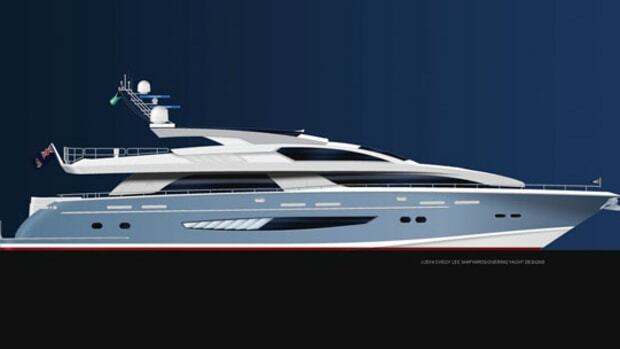 For example, her hull was expertly designed for both strength and durability. To that end it’s resin-infused and foam-cored, with specialized carbon-fiber reinforcements at key stress points. 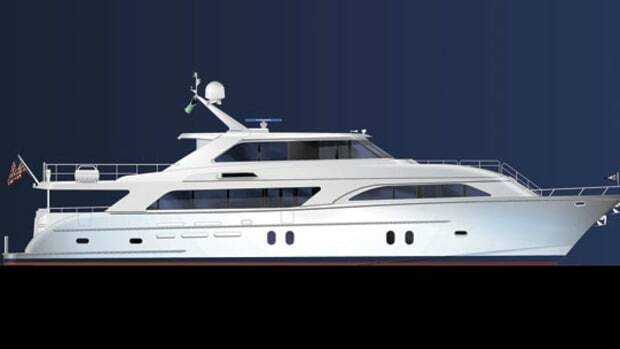 What’s more, the 88 has integral fiberglass fuel, water, and holding tanks, essentially creating a “second hull” that could come in quite handy in case of a grounding. 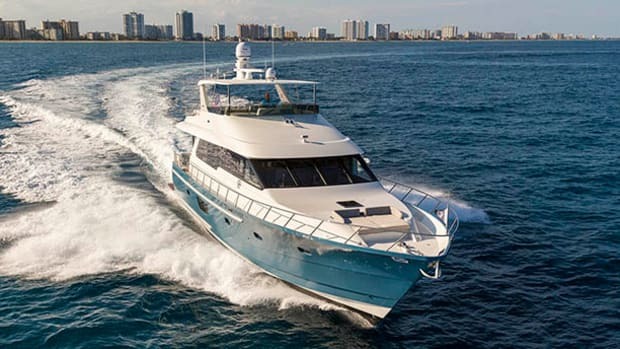 The Bravo 88 is an elegant boat outfitted with loads of smart features. And coupled with Cheoy Lee’s reputation for building sturdy, seaworthy vessels, she may end up being one of the company’s best launches yet. Which is saying something, considering they’ve been building boats since Rutherford B. Hayes was in office. 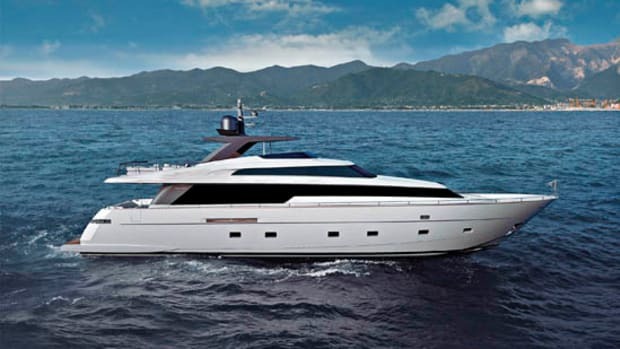 This article originally appeared in the March 2013 issue of Power & Motoryacht magazine.